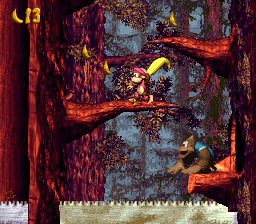 —Bramble, Donkey Kong Country 3: Dixie Kong's Double Trouble! 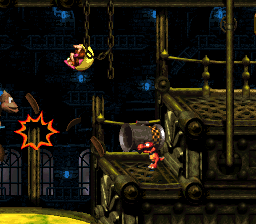 Mekanos is the fourth world of Donkey Kong Country 3: Dixie Kong's Double Trouble!, but can also be accessed as the third world (and vice versa for Cotton-Top Cove). 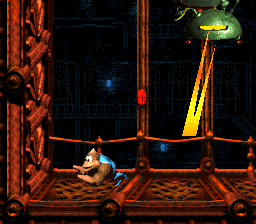 It is an island filled with large factories and pipelines, located in the Northern Kremisphere. The boss of Mekanos is the giant robot, KAOS. 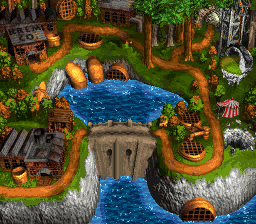 According to Bramble, Mekanos was once a beautiful island filled with plant life, but after the Kremling Krew invaded the Northern Kremisphere they built machines and factories over it. 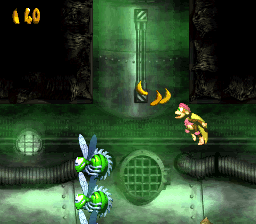 Mekanos is similar to Kremkroc Industries, Inc. as both are heavily polluted industrial areas. Mekanos is more forest-based, complete with many warehouses, factories, pipelines, and a logging area. Mekanos also has a dam that separates the central lake from its sea inlet. 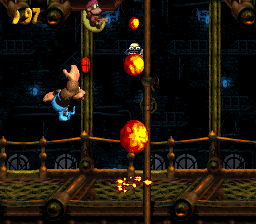 Bazooka is the Brothers Bear of Mekanos, and Dixie and Kiddy Kong must visit and provide him with the Bowling Ball in order to reach the Banana Bird Cave, "Sky High Secret", which is elevated by a large claw. 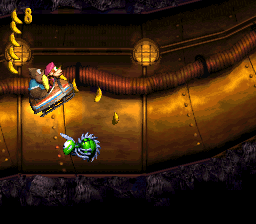 After defeating KAOS for the first time, Dixie and Kiddy use pipes as a shortcut to leave Mekanos, similar to the functionality of Pipes in the Super Mario series. This page was last edited on January 30, 2019, at 23:10.